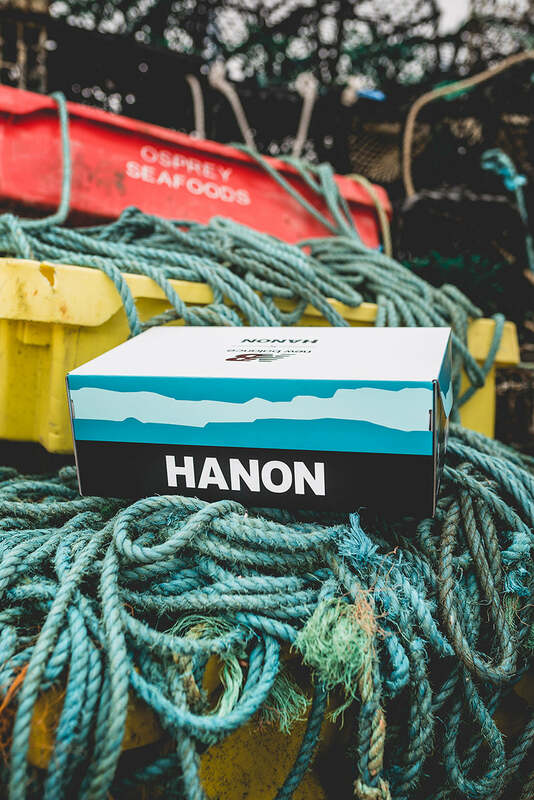 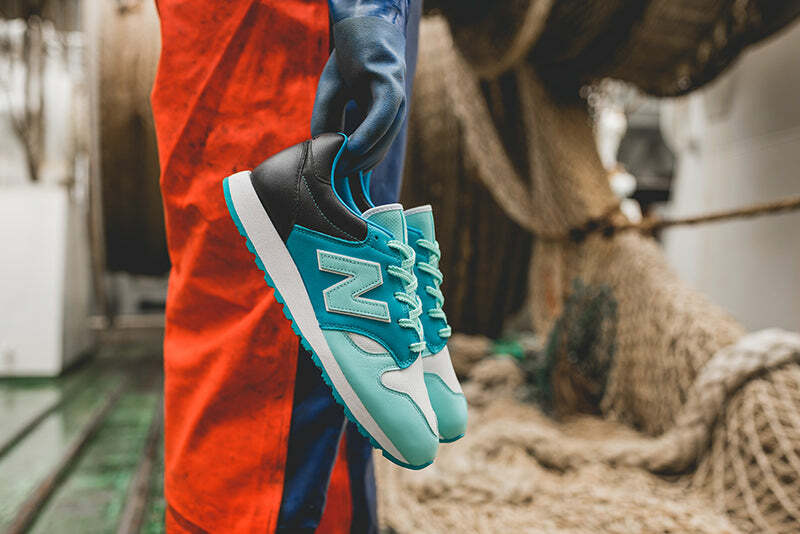 Taking inspiration from our geographical roots, HANON pays homage to the North East of Scotland and its illustrious history in North Sea fishing. 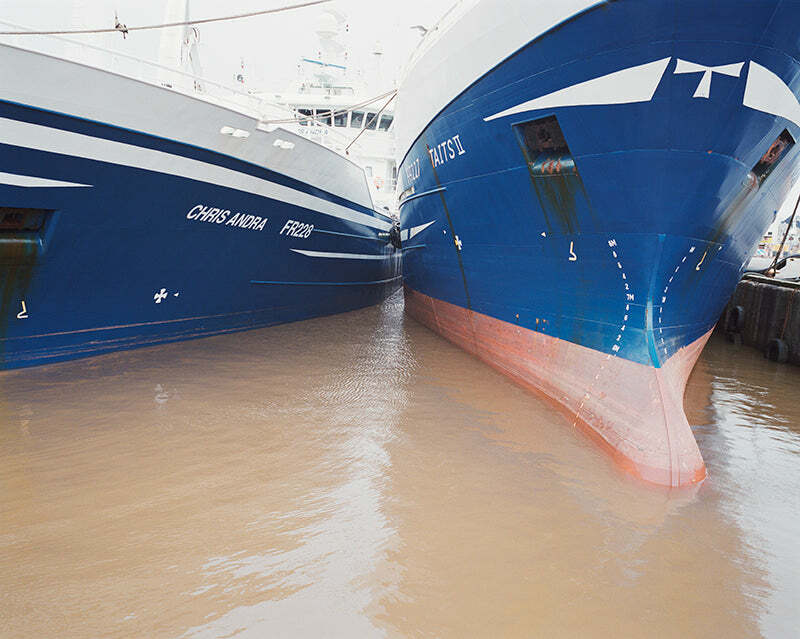 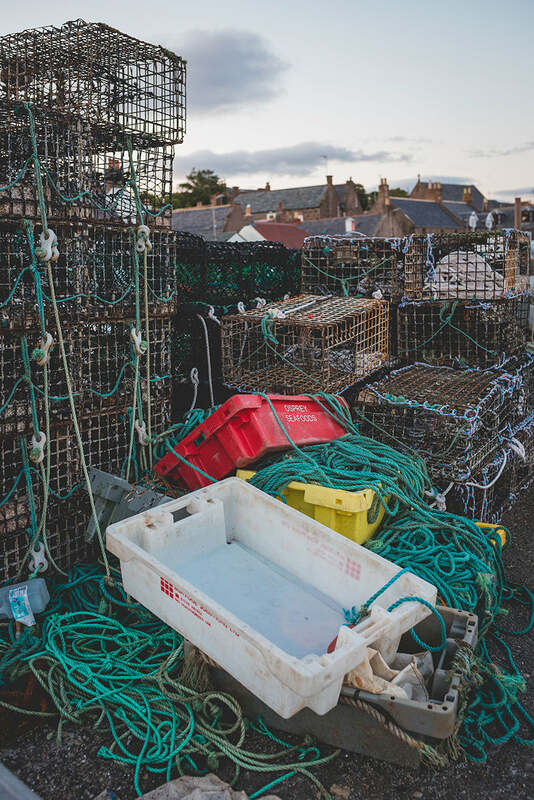 Aberdeen Harbour is the oldest existing business in the UK with a history that spans almost 900 years, and further north in Peterhead, there is the largest white fish and pelagic (mackerel and herring) port in the UK. 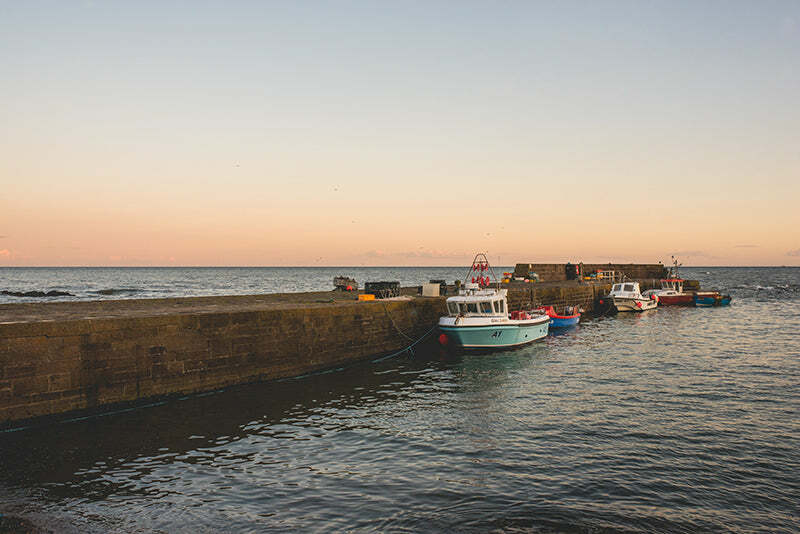 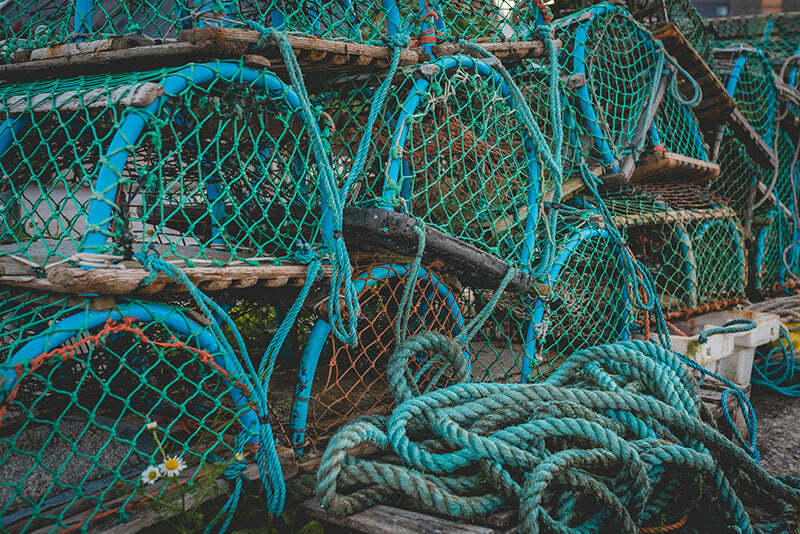 Throughout the years, towns and communities in the North East of Scotland were established and built around fishing with some settlements dating back to the Medieval Times. 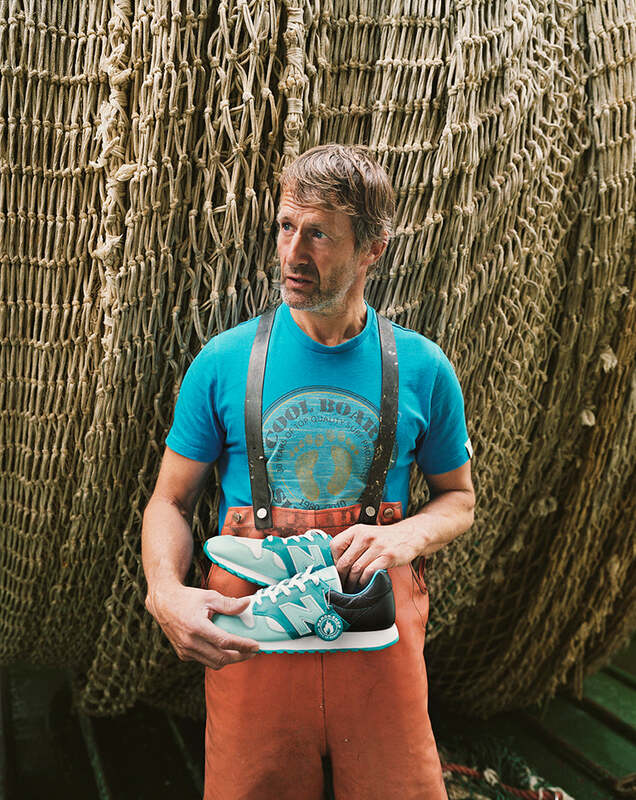 Our “Fisherman’s Blues” edition of the U520 captures the spirit of a bygone era where superstitions and myth carried weight as seafaring men leaned heavily upon omens and luck to secure a safe return from the hardships of fishing in the North Sea. 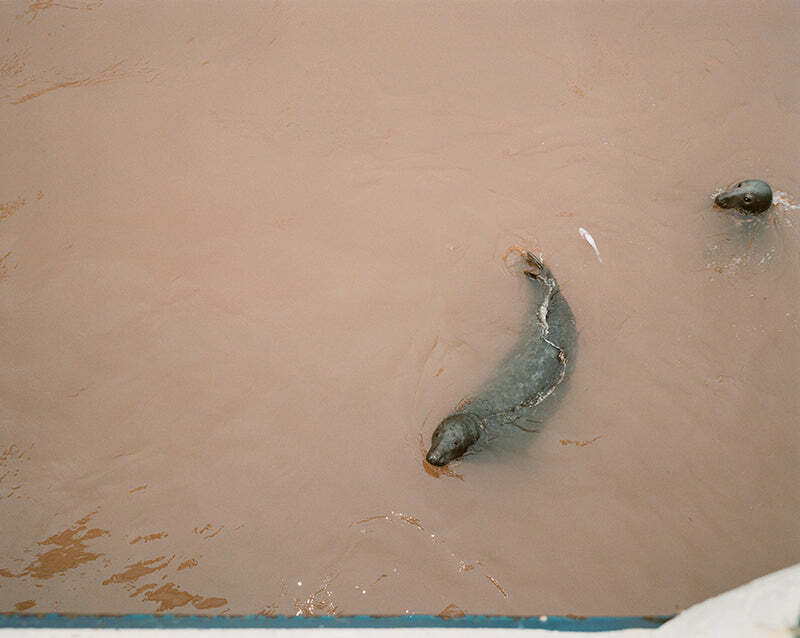 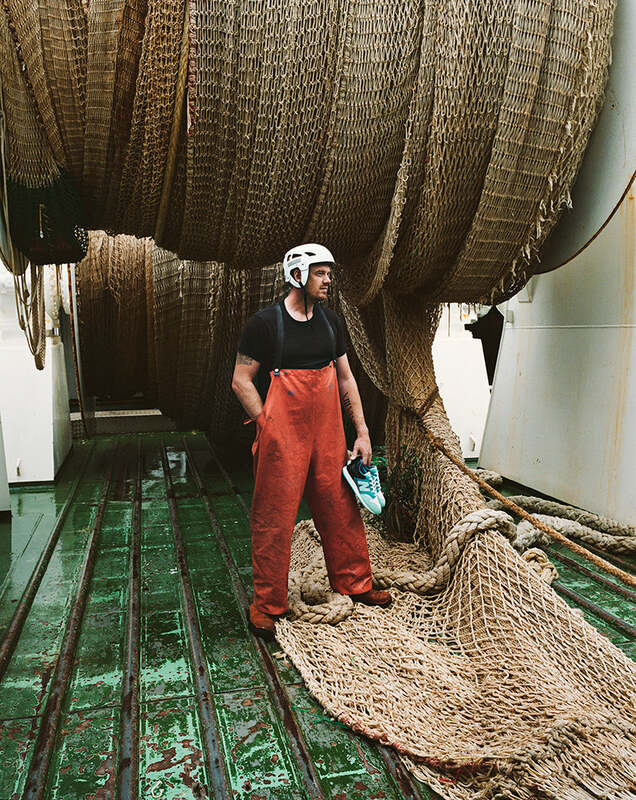 Sometimes at sea for many weeks of the year, fishermen had to endure the inhospitable conditions of the North Sea and its intemperate weather, as many seafarers would never return. 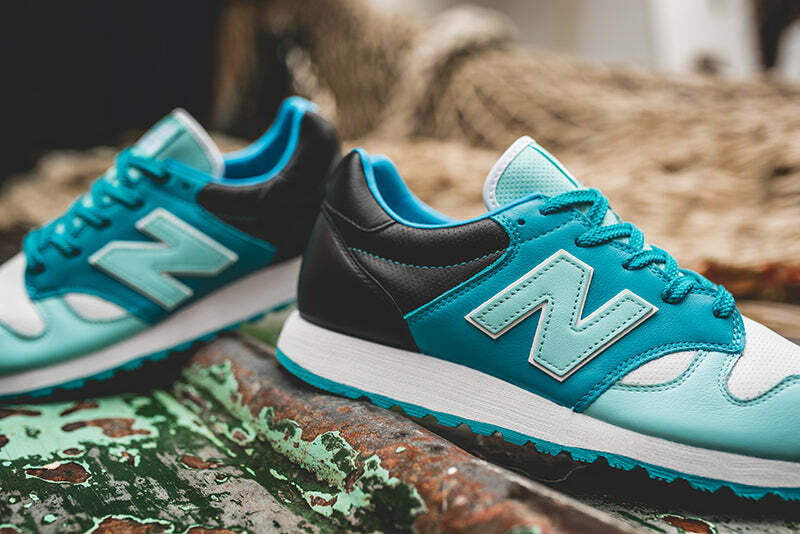 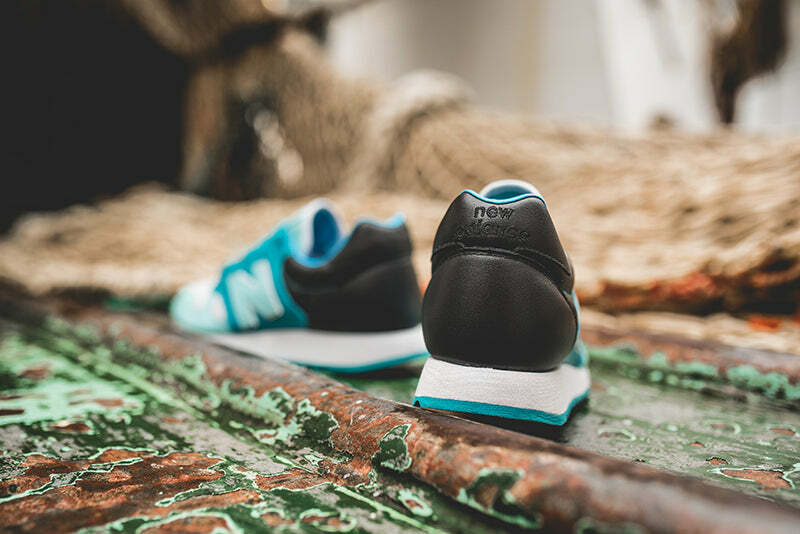 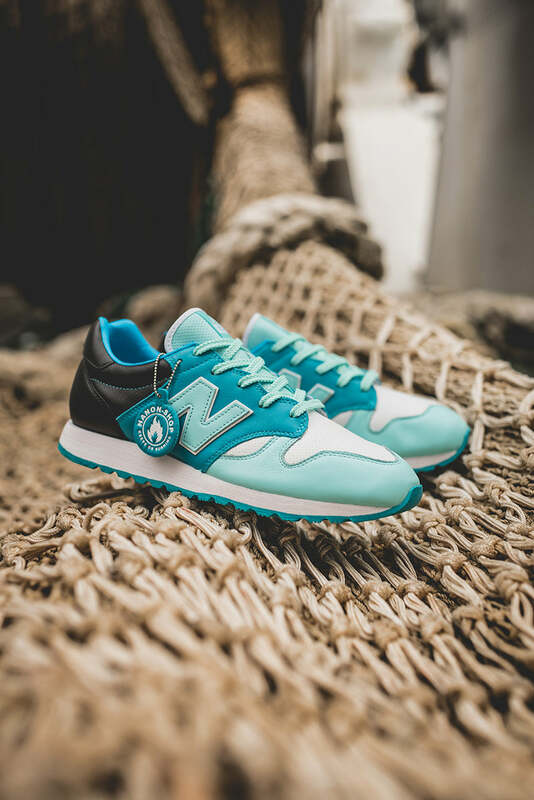 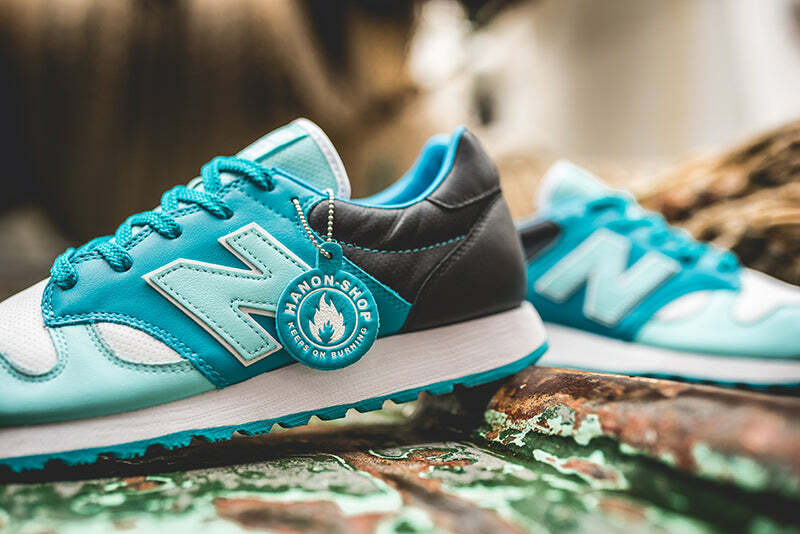 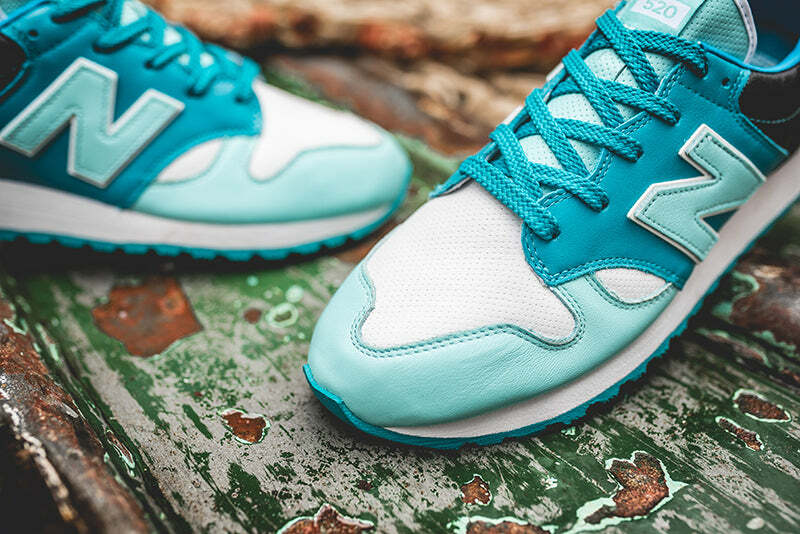 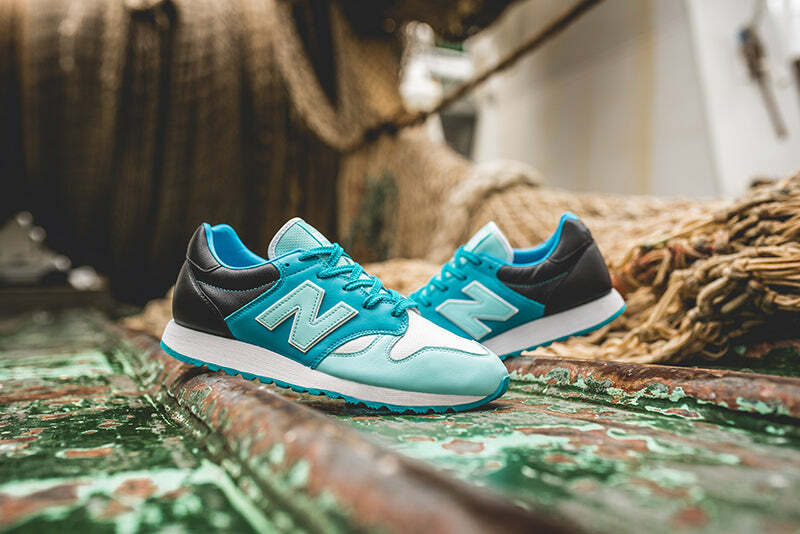 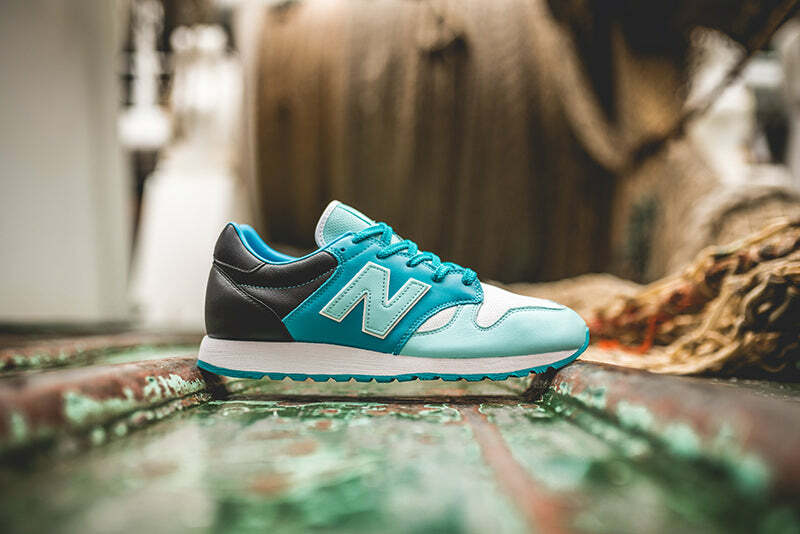 HANON reimagine the classic 520 running shoe, drawing inspiration from the nautical theme with a marine based colour palette as the upper is executed in an array of sea blues and executed in a plush leather application, with perforation details throughout. 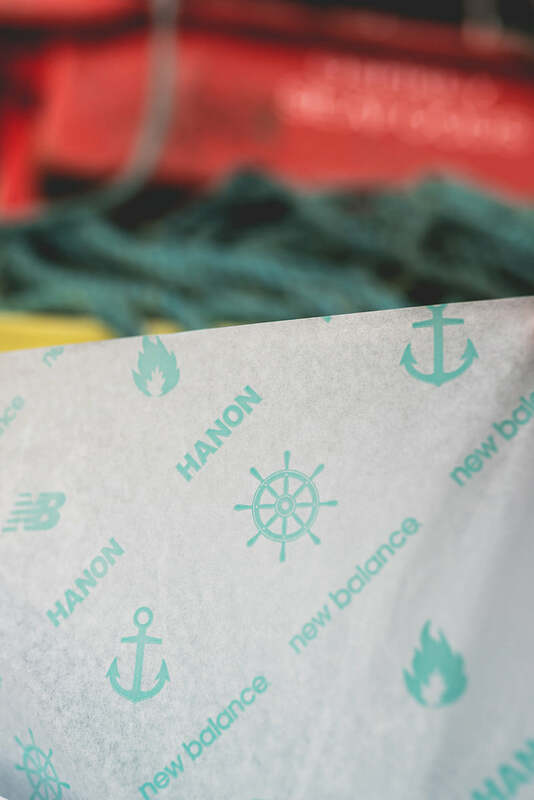 Additional detail appears across the shoe by way of a dual branded leather footbed, as well as a HANON branded leather hang tag. 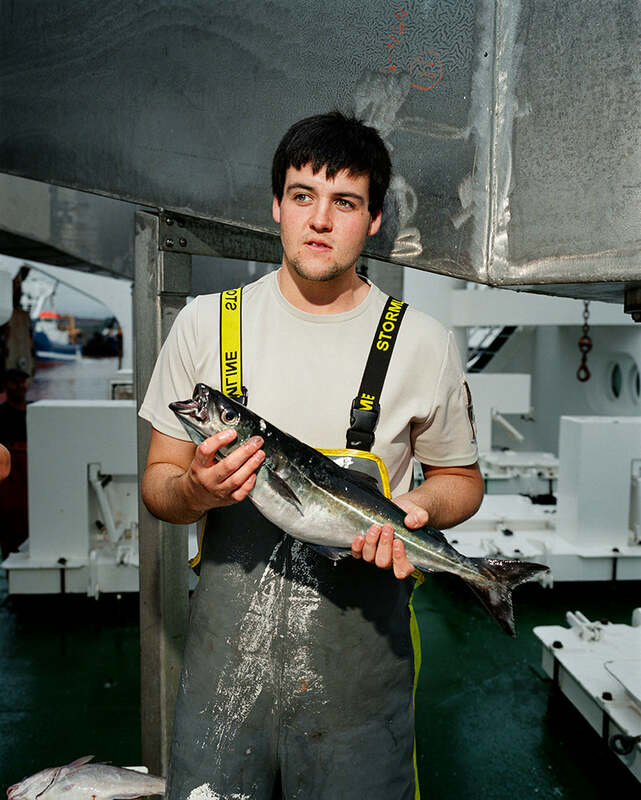 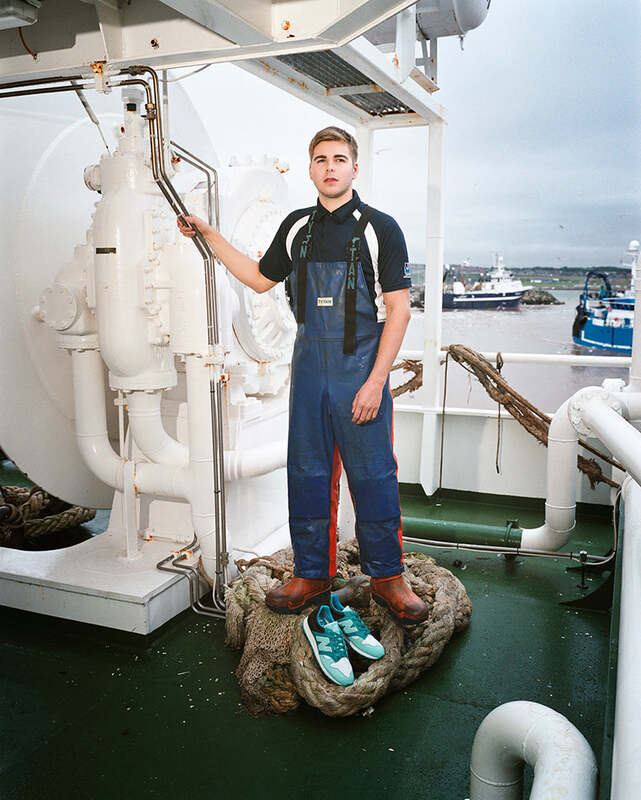 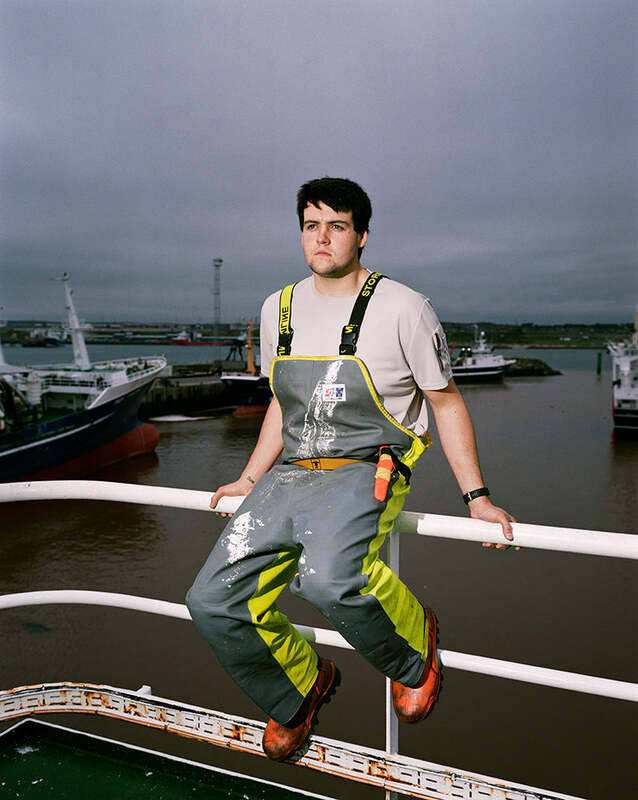 For this project, HANON also worked alongside esteemed British photographer Ewen Spencer, who captured a series of images on film of a fishing crew and their vessel, while on location in Peterhead, Scotland. 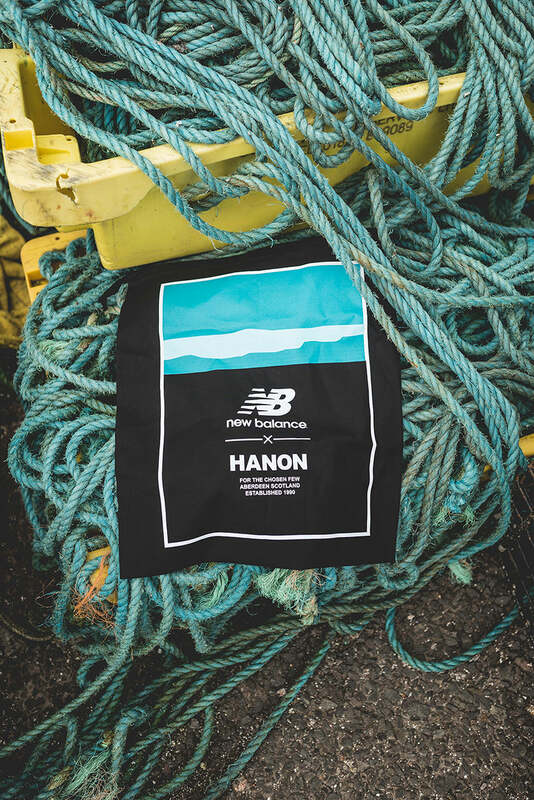 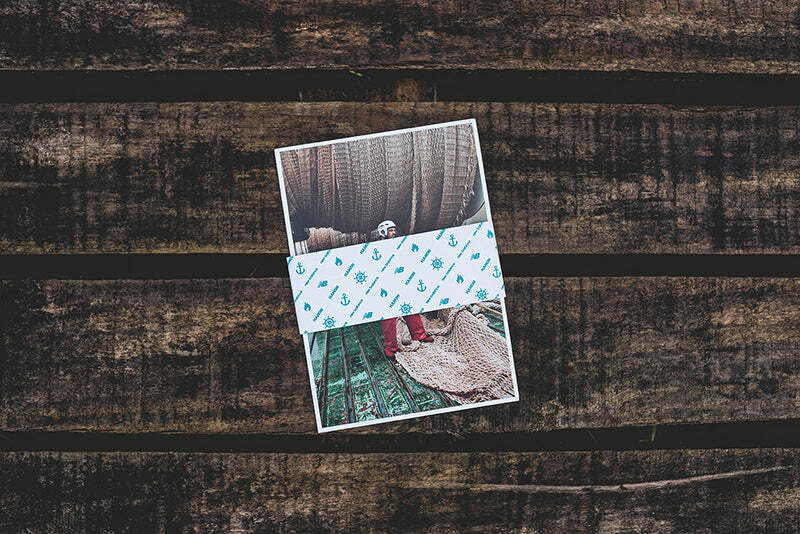 Each pair of shoes bought from HANON will come with a set of four Ewen Spencer postcards featuring images from the shoot. 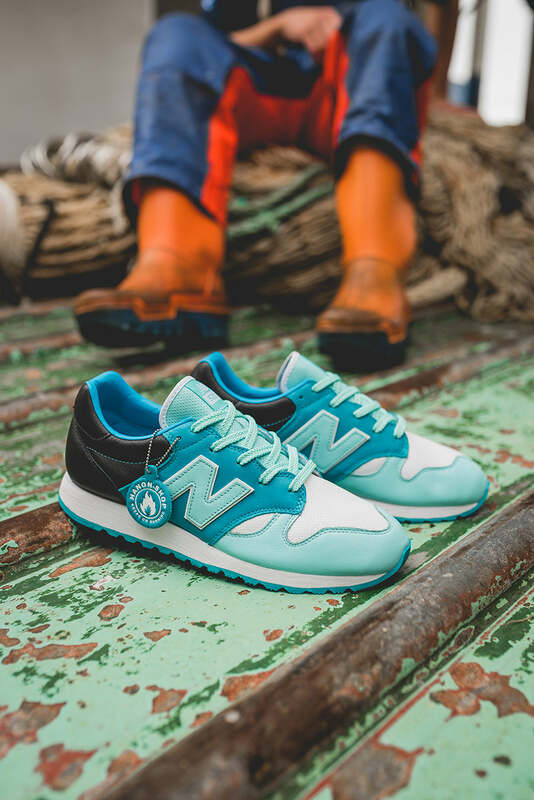 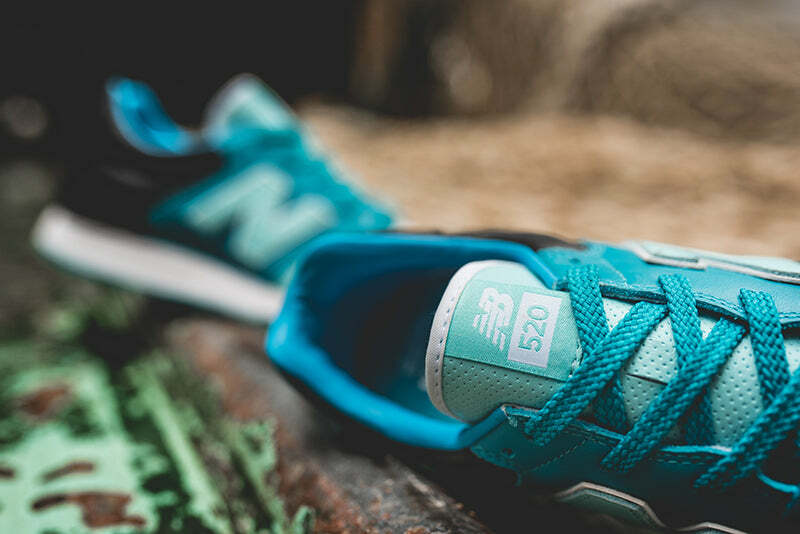 The HANON x New Balance U520HNF “Fisherman’s Blues” will be released at HANON on Saturday 16th of September 2017 from 10:00BST, and any remaining pairs will launch online on Sunday 17th of September 2017 at 18:00BST. 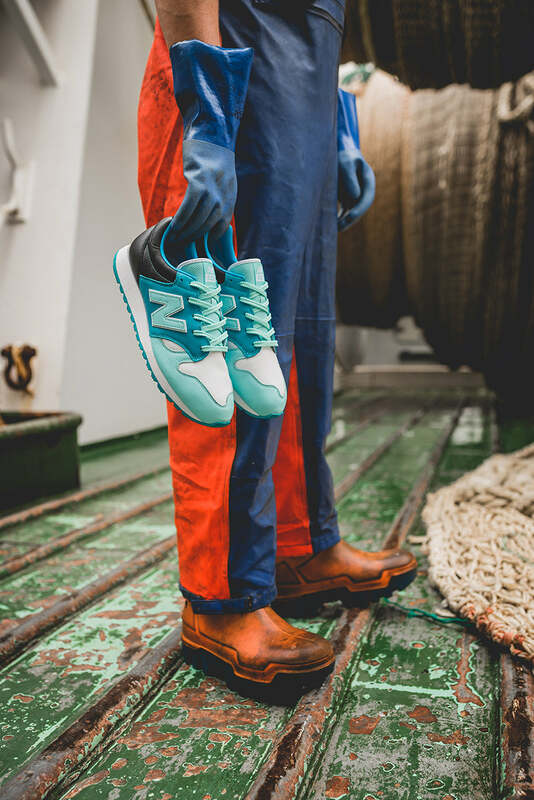 Each pair will come complete with three lace sets, bespoke shoe box, branded tissue paper, and a special edition cotton dust bag. 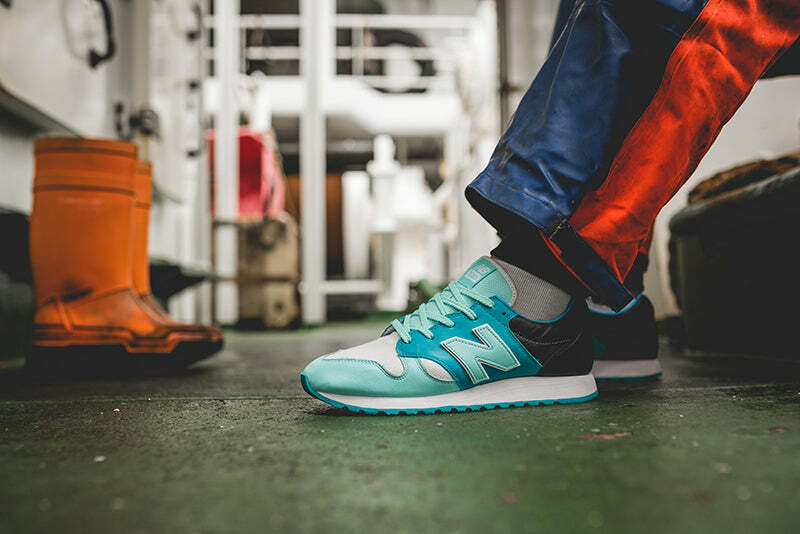 Priced at £109.00. 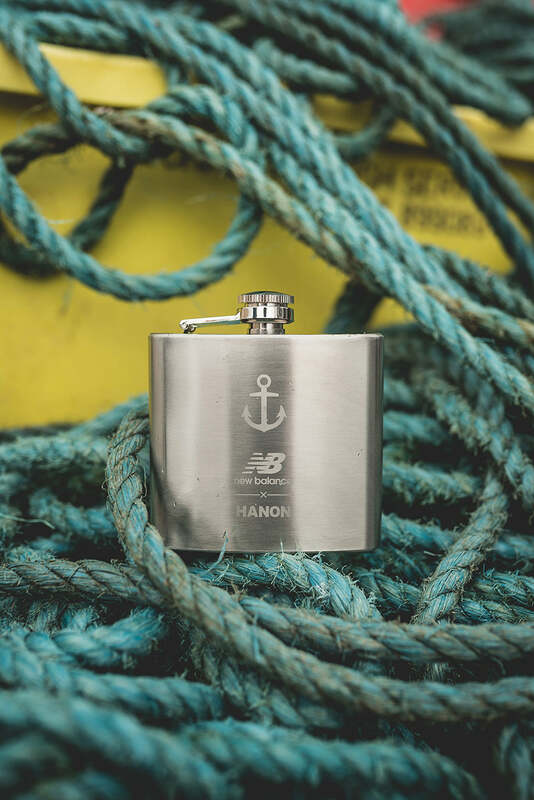 The first 40 customers IN-STORE on Saturday 16th of September will receive a limited edition laser-etched branded Hip Flask. 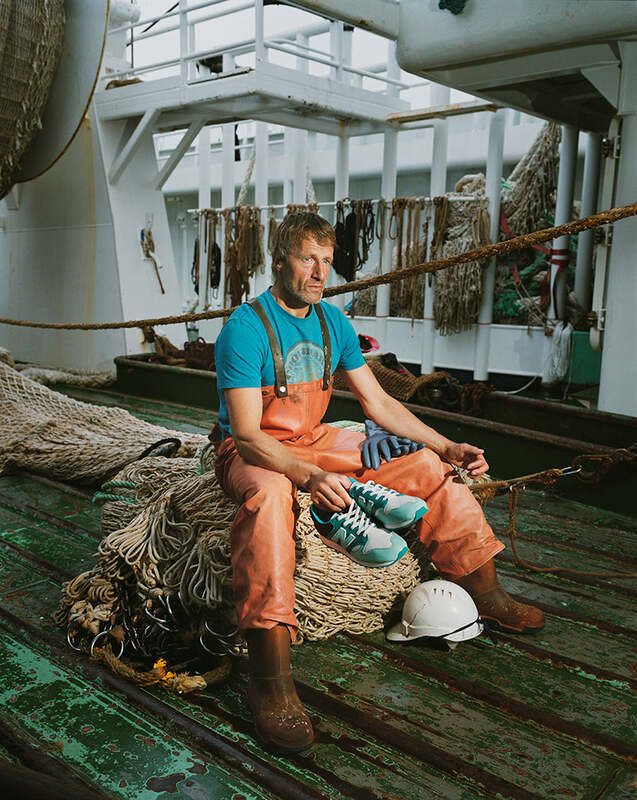 There will also be 50 black “Fisherman’s Blues” Tees available to purchase on Saturday. 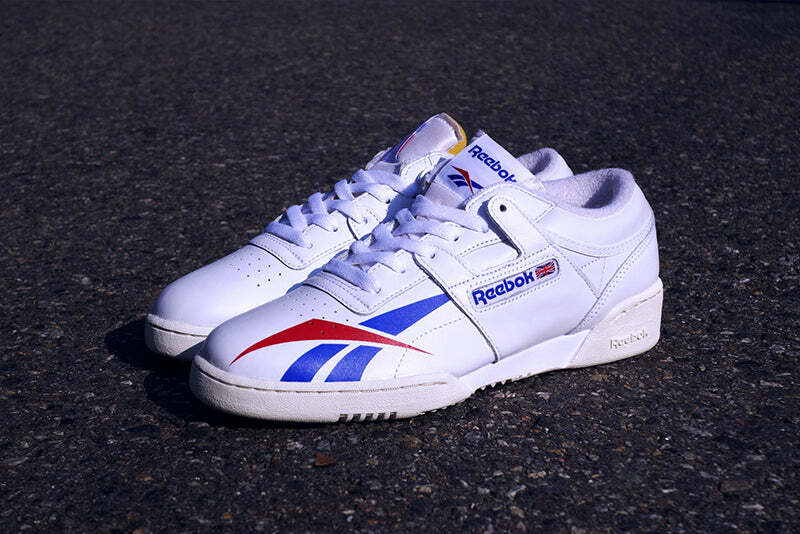 Priced at £42.00. 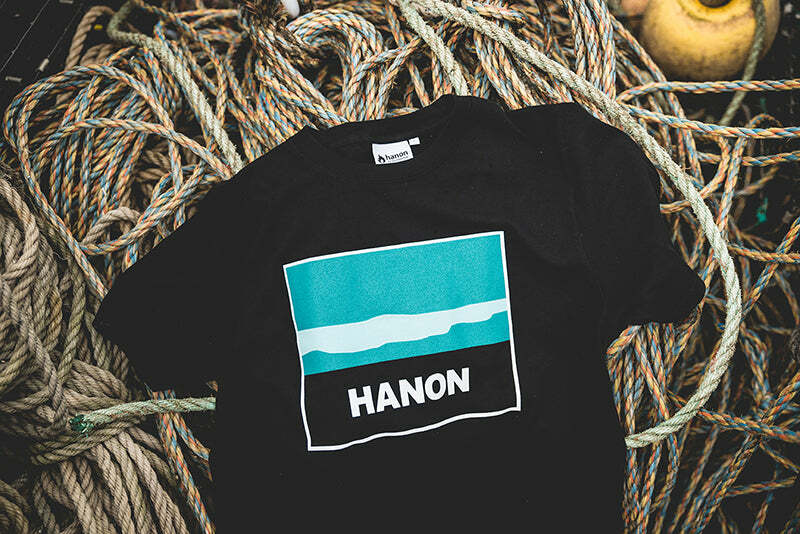 As mentioned previously, for this project, HANON also worked alongside esteemed British photographer Ewen Spencer, who captured a series of images on film of a fishing crew and their vessel, while on location in Peterhead, Scotland. 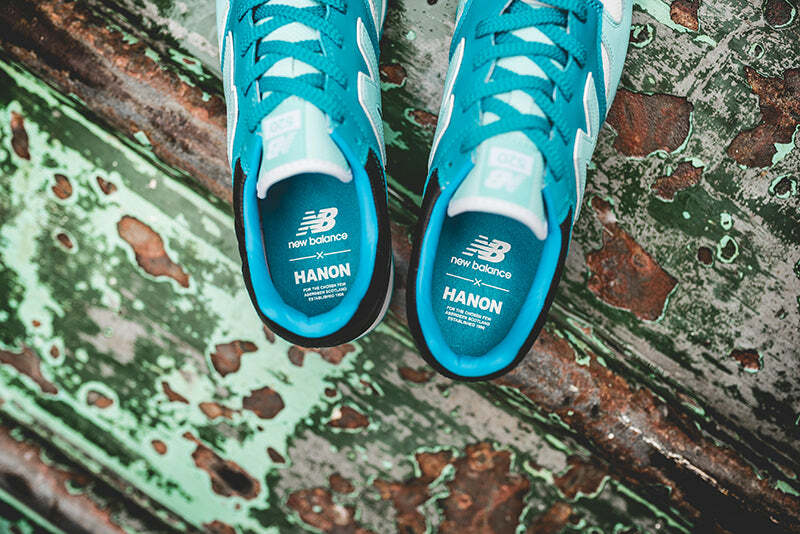 Each pair of shoes bought from HANON will come with a set of four Ewen Spencer postcards featuring images from the shoot.